Jussi Ojala (Personal show 2017). Hans Vangsø works within a Scandinavian tradition of bold simplicity. 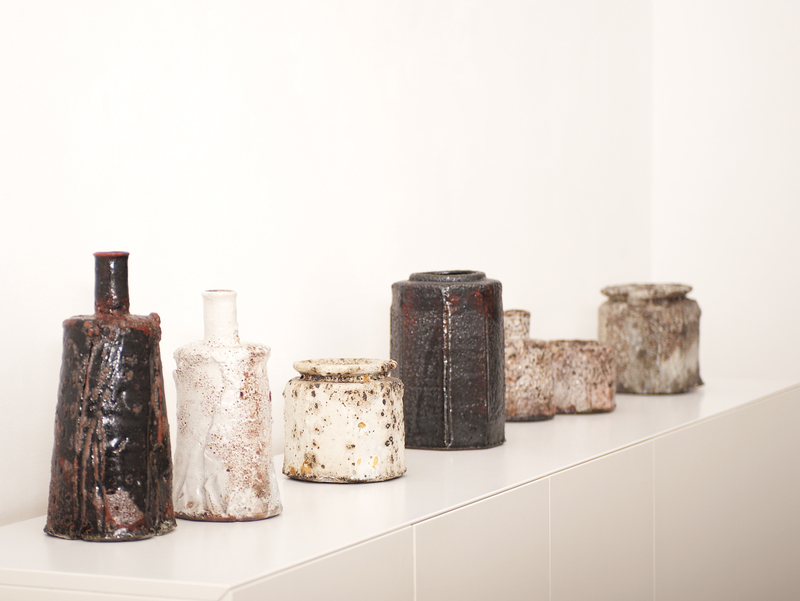 He makes spirited woodfired pots, often square vases and large jars. 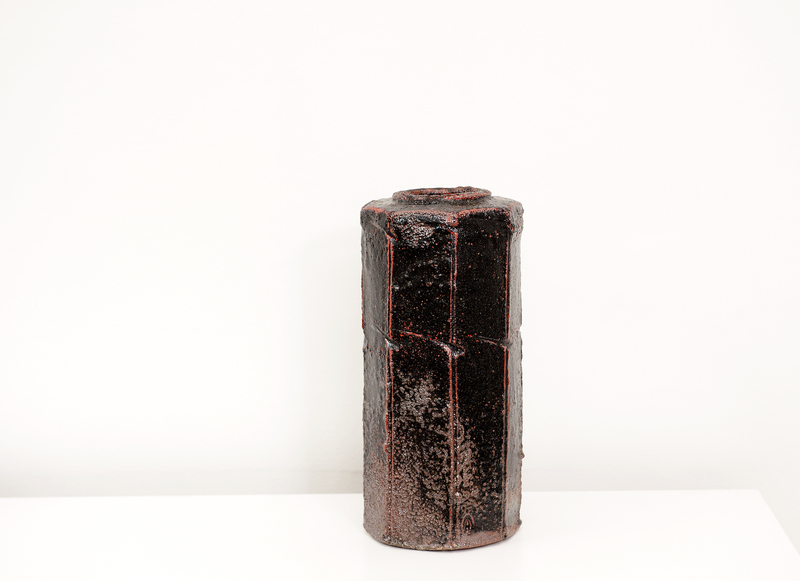 The lively surfaces of his pieces are obtained in firing methods developed over many years, as each piece is fired several times in a gas kiln with salt, seaweed, and metals. 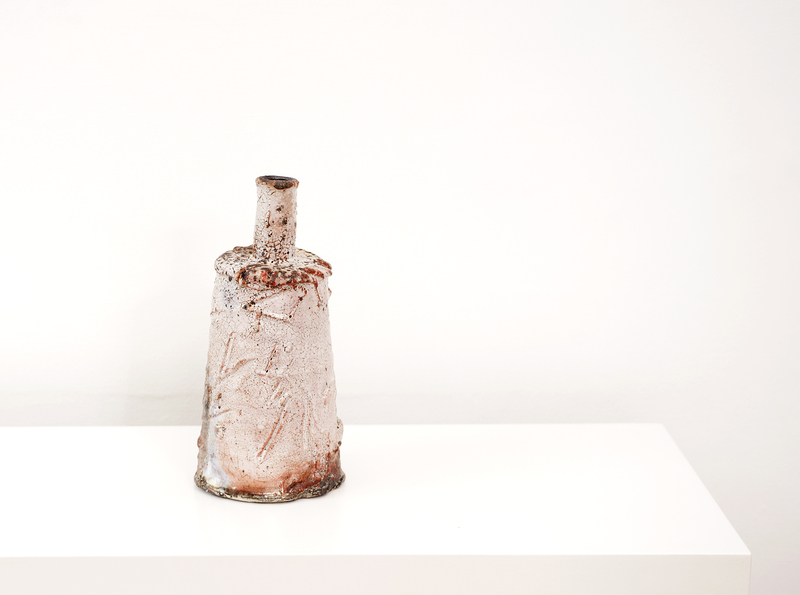 The salts and metals react with clay and flame to produce rather extraordinary, unpredictable effects of colour and surface and the pot is turned into a kind of landscape of its own. The combination of great simplicity in form and rich texture in glazes, and above all, the total melting of glaze and body give his work a somewhat retro feel. Born in 1950, Vangsø studied at the Jutland Academy of Fine Arts in Aarhus between 1972 and 1976, where he was taught by Gutte Eriksen. Like Eriksen, Vangsø is very clearly a ‘fire’ potter. For him the kiln is very much a place of high drama which radically transforms surface and texture. Vangsø's work can be found in the permanent collections of the Danish Museum of Decorative Arts (Copenhagen) and the Ny Carlsberg Foundation (Copenhagen). Hans Vangsø (Personal show 2007), Hans Vangsø (Personal show 2004), Hans Vangsø (Personal show 2011).